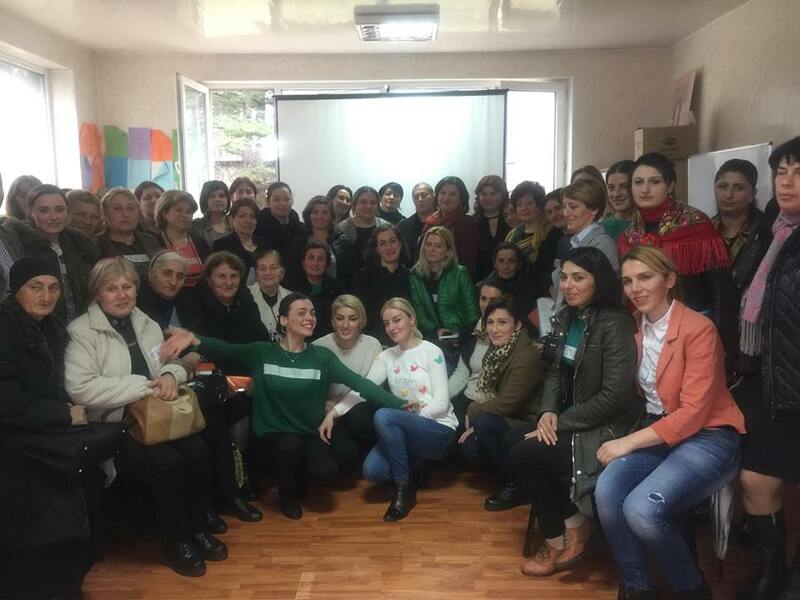 With the initiative of Educators and Scientists Free Trade Union of Georgia, a training “preschool child inclusion” was held for kindergarten employees of Tsalenjikha county organization on March 12, 13, 2019. The training was held in Tsalenjikha for the first time. Anastasia Amisulashvili, the educational center trainer worked for two-day seminar with participants. The training had a total of 92 participants. The issue of “preschool child inclusion” is current and in demand for the employees of kindergartens. Anastasia Amisulashvili provided the participants with practical activities which turned out to be interesting, fun and informative. The participants will be able to use the gained knowledge at their workplaces. "Thanks to the ESFTUG, for fulfilling their promises in time." This is the feedback from the participants of the training held in Tsalenjikha. The Educators and Scientists Free Trade Union of Georgia continues organizing trainings for members of Tsalenjikha county organization.